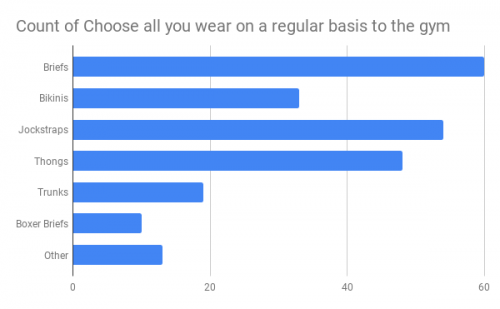 Spandex and the Gym – What do you wear? 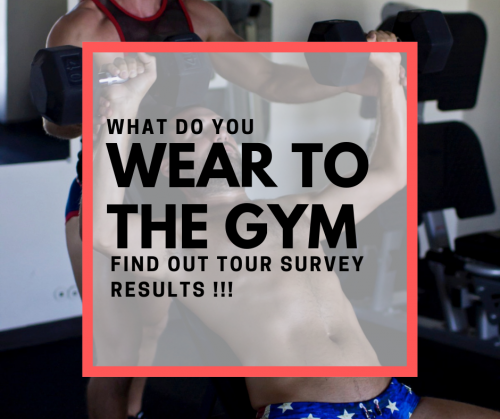 We asked you guys about what you wear to the gym in spandex and swim briefs. We had a great turn out and here is what you guys like to wear and sometimes want to wear. 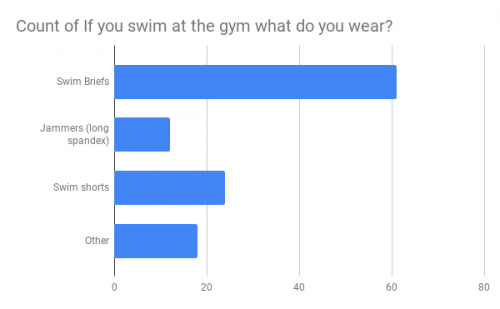 We asked what you guys wear to the gym. 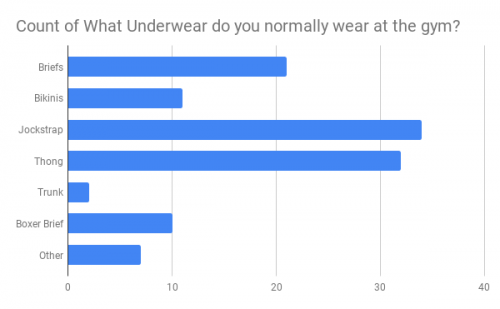 I will say that I was expecting that briefs and thongs would be popular but Jockstraps took the top spot. Guys were only allowed to choose one answer so this is good news but shocking news to me. This is more of what I expected the first answer to be. The briefs are top and then jocks and thongs. In this question, you guys could answer which you wore to the gym. 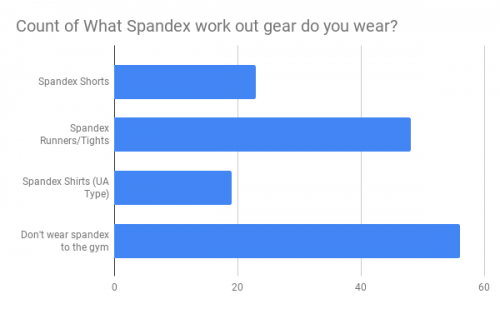 I was curious as to what gear you wear to the gym. Most guys don’t wear spandex to the gym. But if they do it’s more runners/tights over other kinds of gear. Spandex is growing but not mainstream yet. This made me smile. The majority of guys who answered wear swim briefs when they swim at the gym. More than double the second choice. Now we need to transfer these to the beach and pool!!! I asked would you wear them if you don’t wear them? Swim briefs and spandex that is. One thing we have to change is that most guys want to wear swim briefs and spandex but don’t feel comfy. I hope we can change that over the next year. If you want to share your gear story let us know!